Early this month, a canoeing accident claimed the lives of a married couple from Warrington, Pennsylvania. Their death occurred just as they should have been preparing for their golden years; the couple was planning to retire next year to Jonesport, Maine, near where their bodies were found. 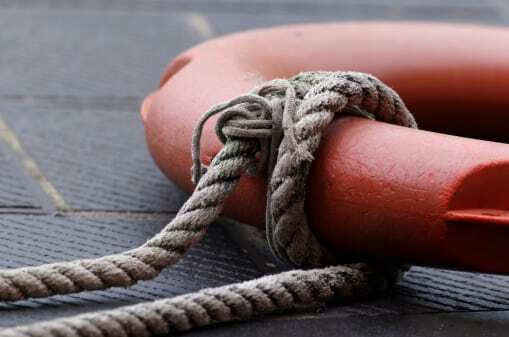 If you or a loved one has been injured in a boating accident in Lewiston, Portland, or Bangor areas, do not delay calling a Maine boating accident lawyer. A water craft injury lawsuit may provide reimbursement for medical expenses and other compensation. It may also prevent other misconduct by holding those who cause such accidents responsible. The specifics of the Jonesport couple’s death remains a mystery. According to reports, the couple, 53-year-old Judy Alden Carlile and 58-year-old Roy Carlile, were last seen on a Friday night. According to the U.S. Coast Guard, they were paddling their canoe in Chandler Bay in calm waters. On Friday and Saturday, their bodies were recovered less than a mile from the shore and showed no signs of trauma. Both of the Carliles were wearing life jackets and the canoe has not been found. The couple’s family still does not know how the canoe capsized but have stated that the authorities believe they each died from hypothermia. The Jonesport canoe accident is not the only serious watercraft injury to hit Maine recently. As we reported earlier, two motorboats carrying a combined 10 people collided on Thompson Lake in Oxford County late last month. Lt. Adam Gormely, of the Maine Warden Service, said it was one of the most serious boating accidents he had ever seen. Eight people, including five children, were injured. Investigators from the Warden Service seized each of the boats, interviewed their operators, and conducted a search for witnesses. Ken Bartow, 60, was driving a 19-foot open-bow boat that was carrying his 10-year-old grandson and his grandson’s 9-year-old friend. Bartow’s boat collided with a 17-foot water-ski boat operated by Matthew Nolan, 58. When the boats collided, Bartow and the two boys were thrown into the water. Both children were hospitalized, with the 9-year-old being airlifted to a hospital. Nolan’s boat carried five passengers plus a water skier, several of whom were ejected to the water. Early reports suggested that the collision was a hit and run. Further investigation revealed that Bartow’s boat was unmanned after he was ejected into the water; the boat continued to the shore with no driver on board. Later reports also revealed that Harold Kowal, who lives on the lake with his wife, witnessed the crash and took his boat out to help the victims. A visitor next door, identified as a paramedic, accompanied him. The two are credited with saving the lives of the children in the water. The cause of the accident remains unknown and the Warden Service continues its investigation. Boating accident litigation is a specialized field. For expert advice, consult the attorneys of Hardy, Wolf & Downing. For more than three decades, our Portland-based personal injury lawyers have been fighting for the rights of accident victims. Call 1-800-INJURED for a case review about your grounds for filing a personal injury lawsuit in Maine.